Now, ECD, the Lead - Free Profiling Leaders, announces the first thermal profiler that is RoHS Compliant. This new lead free transition is dramatically changing soldering recipes as well. The new requirements will result in higher process temperatures and narrower process windows. As a result, thermal profiling is becoming much more important in order to maintain high yields, keep energy costs at a minimum and produce better quality products. 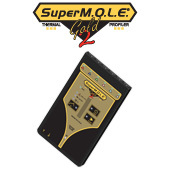 SuperM.O.L.E.® Gold 2 continues the legacy of the original SuperM.O.L.E® Gold Thermal Profiler. 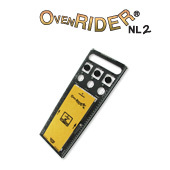 With all the power of a MEGAM.O.L.E.® 20, it retains the same form factor, thermocouple connector type, channel count (6), and RIDER-product compatibility. Instant Profile validation with the patented “OK” Test Button simplifies the evaluation process to a Go/No-Go answer. The M.O.L.E.® Readiness indicators: These warn on the internal temperature, battery status, and RF link to ensure a the profiler is ready to run. M.O.L.E.® MAP is ECD's current software for setup, download, analysis, prediction and data storage that ships with the all new SuperM.O.L.E.® Gold 2 thermal profiler, the MEGAM.O.L.E.® 20, the V-M.O.L.E.®, the PTP® VP-8 and the SuperM.O.L.E.® Gold, ECD's work-horse thermal profiler. EASY-TO-USE - Our user modes and wizards will help you get started quickly, even if you are a beginner or an infrequent user. Two user modes "engineer" and "verify" allow for the simplifying of job functions. With 5 Wizards that model the most likely reflow work flows, you can get up and running in no time. These Wizards help you set up and display data easily. FLEXIBLE - A great assist for recipe development means you can make quick adjustments to a profile just made or any run in any MAP Directory. Use the conveyor speed slider and drag zone temperatures against a backdrop of temperature curves and paste spec polygons or Target 10 gauges and ´move the needles to green´ to make the Machine best match the Assembly and Process for that perfect reflow recipe. ROBUST - Documentation Complete with Oven and Solder Paste Databases you can easily add to, Preferences can be set once or customized to various product and production lines. 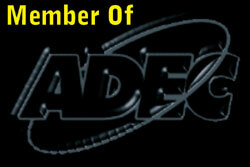 The wave soldering process is one of the most challenging procedures to set up. 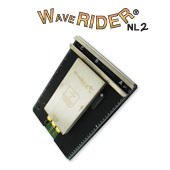 The ECD WaveRIDER® NL 2 greatly simplifies wave solder set up and ensures perfect repeatability, time after time. Board recipe preheat temperatures, conveyor speed, wave height, contact times and parallelism are all measured and monitored using the WaveRIDER® NL 2 process pallet.